Educational requirements ( शैक्षिक आवश्यकता ) : B.E./B.Tech. in Electrical Engineering or equivalent who have qualified GATE or equivalent national level examination. or M.Tech in control systems, power systems or equivalent, signal processing. Job responsibilities / description ( उत्तरदायित्व) :The candidate will have to develop MATLAB codes and do simulation in MATLAB Simulink for linear and non-linear power electronic systems. Therefore candidate having good knowledge in writing MATLAB codes and good understanding of mathematics (Differential equations and controller design) is preferable. 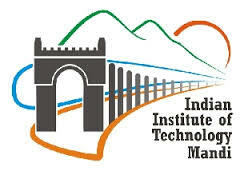 How to apply Indian Institute of Technology Mandi (IIT Mandi) Vacancy ( आवेदन कैसे करे ) : The appointment is for a time bound project and the candidate is required to work mainly for the successful completion of the project. Candidate possessing the requisite qualification and experience should send the duly filled enclosed application form (do not send the CV only) to Dr. Tushar JAIN at tushar@iitmandi.ac.in on or before 15th June, 2018. Please write “Application for Project Associate (JRF) 2018” in subject line of the email. The shortlisted candidates will be intimated via email.